Volvo announced today that its first plant in the U.S. will be in Berkeley County, just 20 miles up the road from Atlas Commerce Center and Palmetto Commerce Park. 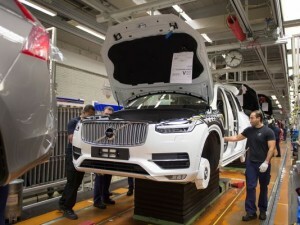 Volvo’s $500 million investment in the plant could create as many as 4,000 jobs over the next decade and is estimated to have an economic impact on the area of $4.8 Billion. The plant will be built at the Camp Hall Commerce Park along U.S. 26 near Ridgeville. Construction will begin in Autumn of 2015, with the first vehicles expected to roll off the assembly line in 2018.